Venturing is a youth development program of the Boy Scouts of America for young men and women who are 14 years of age OR (13 years of age AND completion of the eighth grade) through 20 years of age. Venturing's purpose is to provide positive experiences to help young people mature and to prepare them to become responsible and caring adults. As a Venturer, I promise to do my duty to God and help strengthen America, to help others, and to seek truth, fairness, and adventure in our world. As a Venturer, I believe that America's strength lies in our trust in God and in the courage, strength, and traditions of our people. I will, therefore, be faithful in my religious duties and will maintain a personal sense of honor in my own life. I will treasure my American heritage and will do all I can to preserve and enrich it. I will recognize the dignity and worth of all humanity and will use fair play and goodwill in my daily life. I will acquire the Venturing attitude that seeks truth in all things and adventure on the frontiers of our changing world. 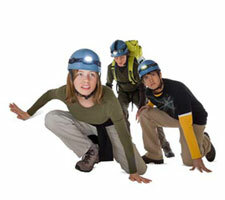 All Venturers are given opportunities to learn and apply proven leadership skills. A Venturing crew is led by elected crew officers. The Venturing Leadership Skills Course is designed for all Venturers and helps teach in an active way to effectively lead. Venturing activities are interdependent group experiences in which success is dependent on the cooperation of all. Learning by doing in a group setting provides opportunities for developing new skills. The youth officers lead the crew. The officers and activity chairs work closely with adult Advisors and other adult leaders in a spirit of partnership. The adults serve in a "shadow" leader capacity. Recognition comes through the Venturing advancement program and through the acknowledgement of a youth's competence and ability by peers and adults. The Ideals. Venturers are expected to know and live by the Venturing Oath and Code. They promise to be faithful in religious duties, treasure their American heritage, to help others, and to seek truth and fairness. A variety of awards are available to Venturers who accomplish specific achievements. Please visit the national Venturing Awards page. Venturing's emphasis on high adventure helps provide team-building opportunities, new meaningful experiences, practical leadership application, and lifelong memories to young adults. Most ships hold formal meetings conducted in either full dress of work uniforms. Swimming, lifesaving, first aid, Coast Guard Auxiliary Sailing and Seamanship, and cardiopulmonary resuscitation courses are taught with the ship by our own officers. The state safe boating course is also offered by many ships. Occasionally movies are shown, contests between crews are held, or intership visits are arranged. 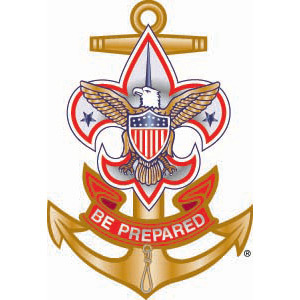 For more infomration about the Sea Scouts, including how to join or start a Sea Scout ship in your area, please contact the Hudson Valley Council.